Home Improvement projects are widely popular credited to the growth of TV series and designer shows. While smaller projects top the list of frequency, such as painting and decorating, all home improvement projects can add up quickly. The savvy shopper will not only shop around for the best deal on fabric but on home improvement loans as well. There are many reasons why people go for home improvement loans, and just as many ways in which to do so. Standard borrowing purposes can be divided into two categories. The first would cover things such as buying clothes and other purchases on credit cards, using store credit, and taking advantage of buy now pay later or other store financing offers, or perhaps borrowing to pay for a holiday. 1. Personal Loans: Most homeowners meet their home improvement loans requirement for home improvement through personal loans. This can save thousands in interest payments. Though mostly widely preferred, the interest rates are subject to market conditions. 2. Secured loan: Secured loan or mortgage can be taken out as secured loans against the equity in your property. This will enable you to take out a more substantial home improvement loans than you would get with an unsecured loan, and you can also enjoy lower monthly repayments and better interest rates. 3. Dealer Financing: Whether you want to get central heating fitted or have all the doors replaced, or whether you wish to redecorate throughout, have a new kitchen or bathroom or any other type of home improvement, the dealer from who you buy the goods will finance you with home improvement loans, and you repay the principle inclusive of a high rate of interest. 4. Home Improvement Mortgage Refinance: Many homeowners are refinancing to lock in attractive long-term fixed interest rates, and thereby using the extra money to pay for remodeling projects. With this type of home improvement loan, you can schedule repayment for 20 or 30 years into the future, and the interest is tax deductible. However, one drawback is that because you’ll be repaying the money slowly the accumulated interest can be quite significant. 5. Home Equity Loans: A Home Equity Loan allows you to borrow against the value of your home and is also one of the smartest ways to finance home improvements. Although one major drawback is that if you default on your payment, you run the risk of losing your home, so paying these loans back in a responsible manner is an absolute must. 6. Bank Loans: Regular Consumer Bank Loans come in handy as home improvement loans, especially for those homeowners who need to borrow relatively small amounts of money without much paperwork or delay. These loans usually require to be paid back within a few years, rather than a few decades. 7. Low interest fixed rate loans: Homeowners, including those who have little or no equity in their property, may be eligible for a low interest fixed rate home improvement loan to fund repairs. 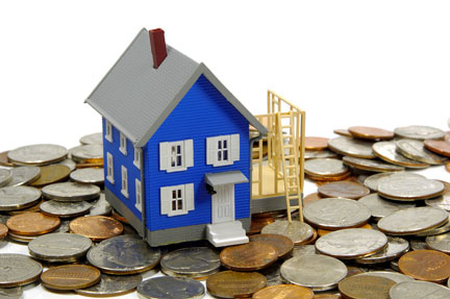 Whichever way you may choose to meet your home improvement loan it should suit you’re your budget and timeline. Look for monthly payments that you can easily manage, and an interest rate and schedule of repayment that meets both your short and long term goals.